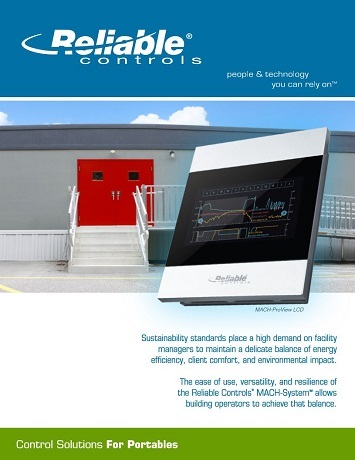 The Reliable Controls MACH-ProView LCD with router is a powerful and elegant BACnet building controller (B-BC) and BACnet Operator Display (B-OD) which provides a plenitude of attractive, high resolution, graphical interfaces to access, control, and monitor the comfort and energy of any space, while routing communications to multiple networks. 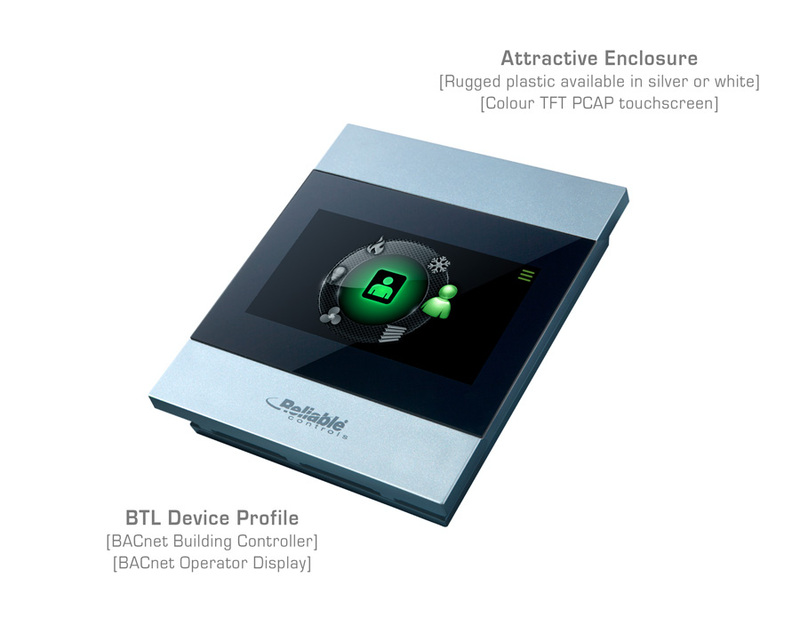 BACnet: B/IP x 2, Ethernet, MS/TP, or RC-RemoteAccess®. DHCP: Dynamic Host Configuration Protocol. Modbus: Supports both RTU and TCP communications in slave mode and master mode with up to 128 slave devices. SNTP: Simple Network Time Protocol. Wi-Fi (for -WR models): Supports WPA and WPA2 protected access. Modbus RTU slave or master. 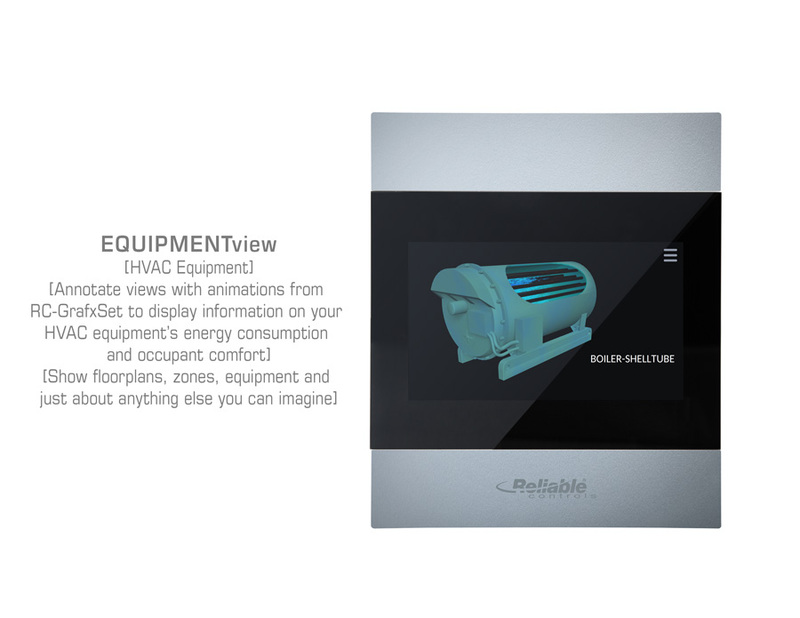 Displays full color graphics, runtime logs,alarms, and schedules. 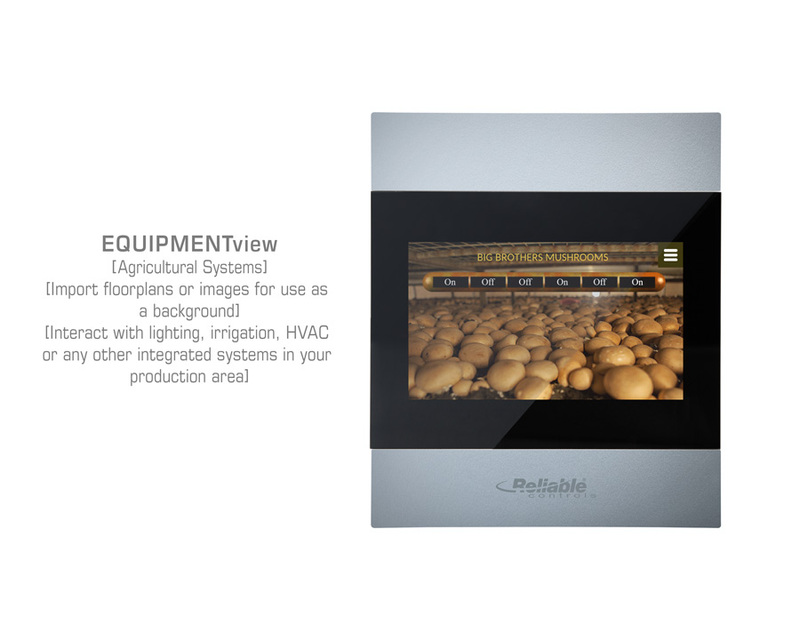 Display can be configured to be always on or to blank after 10-100 seconds of idle time. 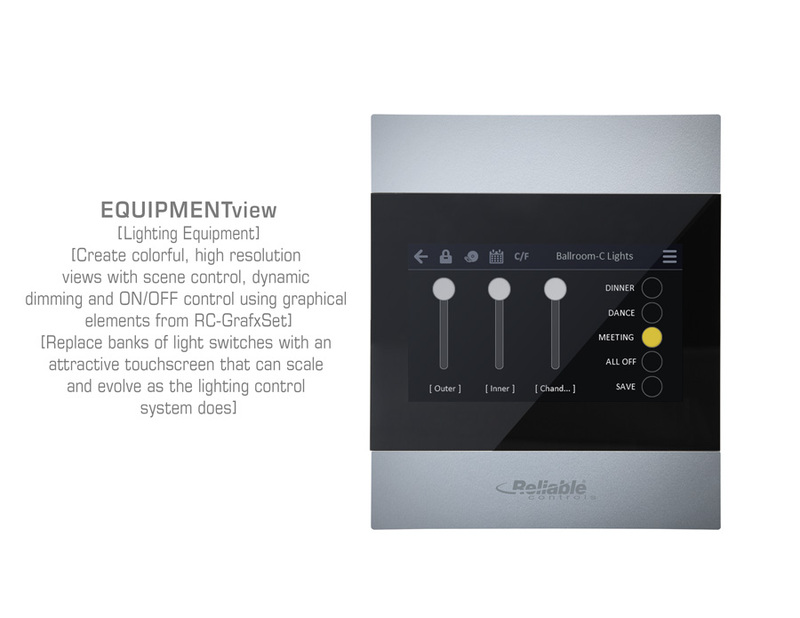 Allows related objects to be displayed on and accessed from the LCD. 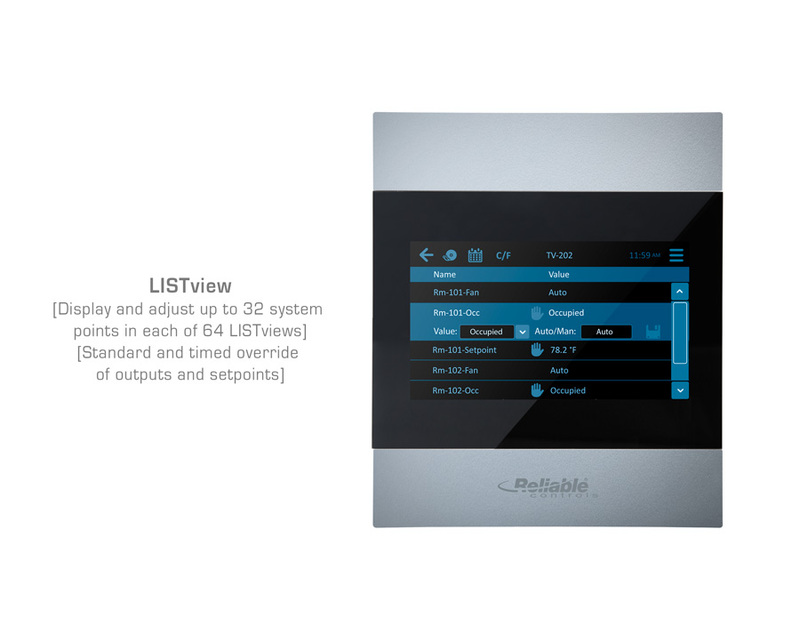 Configurable screens include SPACEview, LISTview, STATview, TRENDview, ALARMview, SCHEDULEview, RUNTIMEview, CONFIGURATIONview, and NAVIGATIONview. Allows related objects to be grouped onto one display. Software selectable 0–10 VDC, 4–20 mA, thermistor/dry contact. Expandable using MACH-ProPoint expansion modules. Maximum possible inputs of 30 (using 1 MPP-I module). First 4 have jumper selectable universal ranges. Last 2 are binary solid state relay only. Maximum possible outputs of 22 (using 1 MPP-O module). Selectable standard and custom ranges, as well as fixed program-driven values. 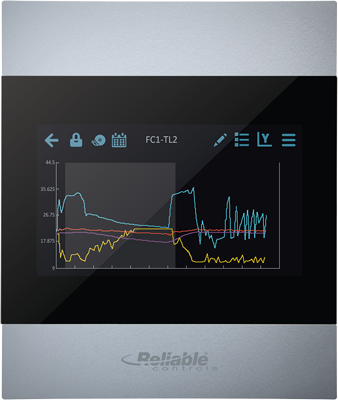 Standard P, PI, or PID controllers for closed loop control. 14 On/Off times for each weekday or exception. Days of the year designated as holidays. Each Trend Log stores up to 8 objects. Values recorded at user-defined intervals. Values recorded at user-defined intervals or based on change of value (COV). Totals the On time and records the On/Off times of every binary object. Specifies alarm configuration, broadcast destination, and email recipients. Freely programmable control strategy in a readable, BASIC-like language. Up to 128 elements in a one-dimensional array. For creating custom scaling functions. Networks up to 4 SMART-Sensors. Each user is assigned a user name and an access level. 8 multistate units with 8 states, 30 characters each. The total maximum number of writes and shares to other devices. FCC CFR 47 Part 15/B. 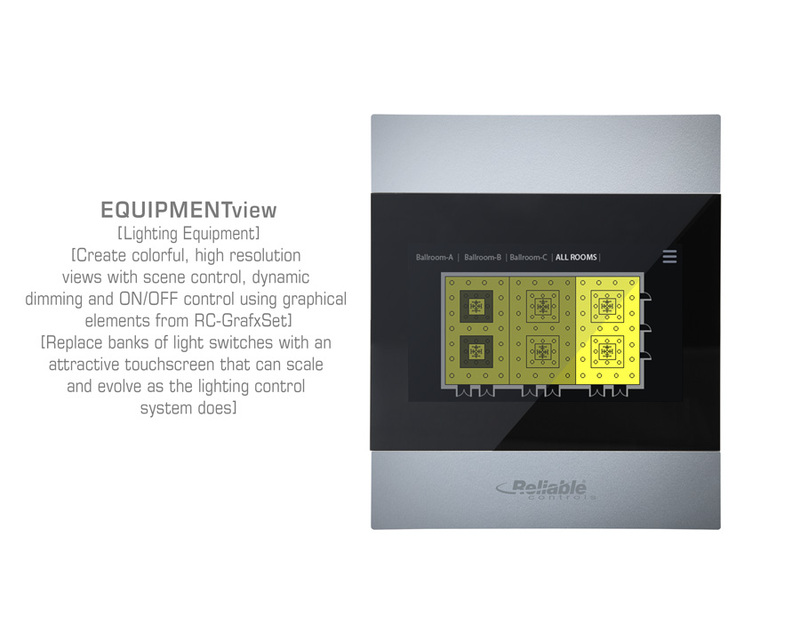 147 MHz, high-performance, 32-bit embedded microcontroller. 1 MB non-volatile RAM (trends and dynamic values). 32 MB Flash EEPROM operating system, database, and controller configuration. 24 VAC ±10% 93 VA max 50/60 Hz. 24 VDC ±10% 9 W max. 1 IEEE 802.3 (Ethernet 10/100 BaseT). 1 EIA-485 (RS-485)@ 76.8 kbps max. 1 SMART-Net port @ 4 sensors max. Full color, 480 x 272 pixel. 4.3" Wide Quarter VGA (WQVGA). Display Area 57 mm x 96 mm (2 1/4” x 3 3/4”). Analog: 0–10 VDC 4–20 mA, thermistor. 1 MΩ for 0–10 VDC range. 250 Ω for 4–20 mA range. 20 kΩ pull-up for thermistor/dry contact range. Pulse counting up to 150 Hz (supports flow meters). Output power: 75 mA @ 12 VDC. 24 VAC over-voltage and short protection. 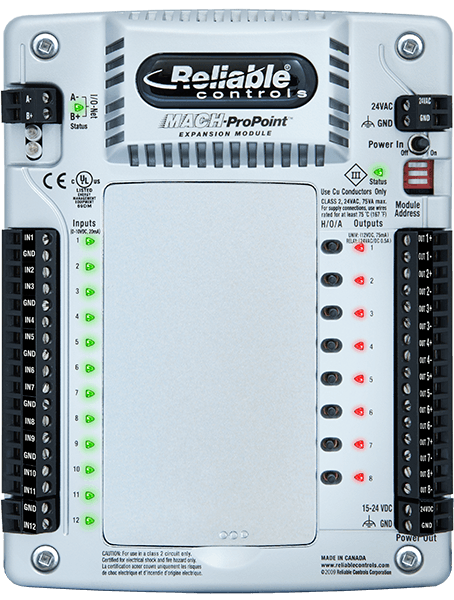 Up to 1 MACH-ProPoint™ expansion module of any type. Range: 0 °C to 40 °C (32 °F to 104 °F). 0.1 °C (0.18 °F) resolution. User calibrated to ± 0.1 °C (0.18 °F) accuracy. 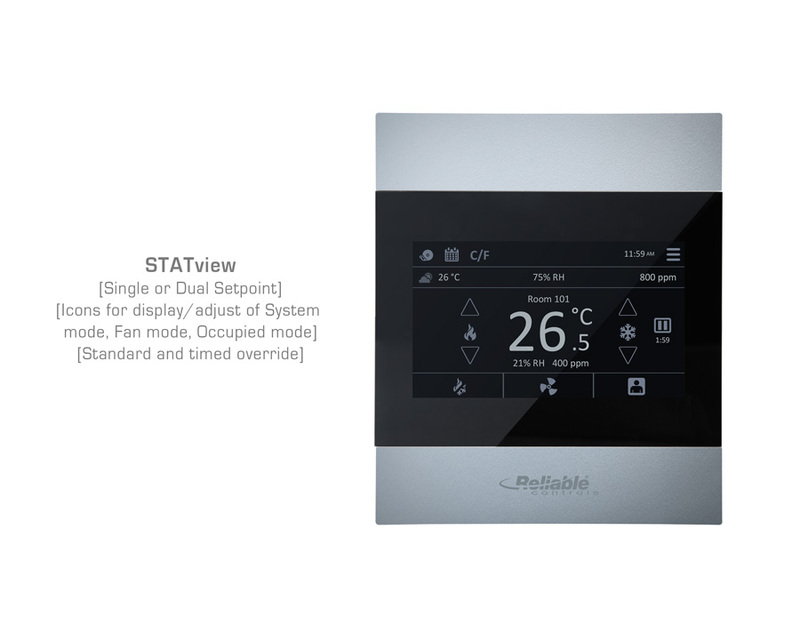 Range -20 to 55 °C. ±0.1 °C (0.18 °F) resolution. User Calibrated to +/- 0.1 °C (0.18 °F) accuracy. Non Dispersive Infrared Optical Sensor. Non Linearity < 1% of full scale. Accuracy ±2.4% RH max from 0 to 90% (see plot). Passive Infrared Radiation (PIR) sensor. 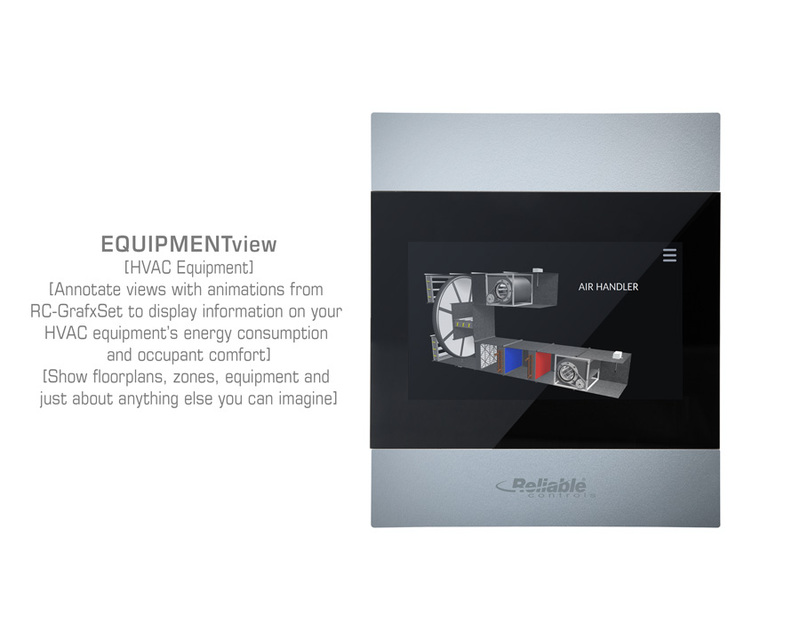 94° horizontal range / 82° vertical range. 5 m (16.4 ft.) max detection distance. ± 1 second per day. 16 to 24 AWG (1.31 mm² to 0.21 mm²). 14.5 cm L x 12.2 cm W x 2.7 cm H (5 11/16" L x 4 13/16" W x 1 1/16" H). Two 6-32, 1" TRUSS head Phillips mounting screws included for 1-gang and 2-gang boxes. Two 8-32, 5/8" long, Phillips wafer head machine screws included for 4" x 4" and 4 11/16" boxes. Minimum opening in wall 46 mm W x 72 mm H (1 13/16" x 2 13/16"). 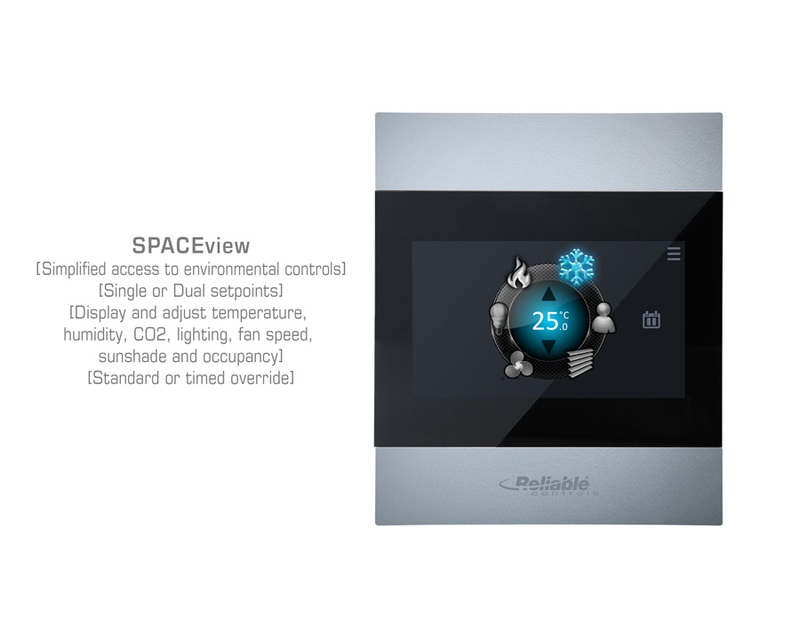 Operating: -20 °C to 55 °C (-4 °F to 131 °F). Shipping: -40 °C to 60 °C (-40 °F to 140 °F). 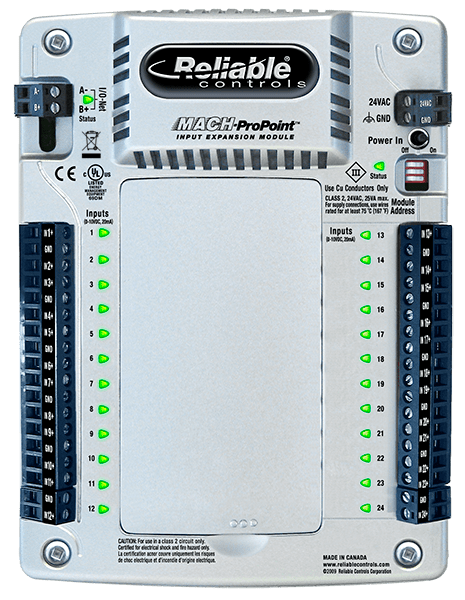 Add modular inputs and outputs to any MACH-Pro, MACH-ProWeb or MACH-Pro2 series controller with this flexible, general purpose expansion module with universal I/O. 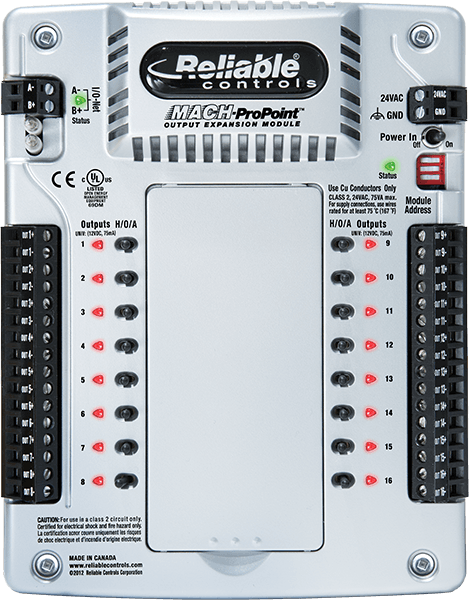 Add modular inputs and outputs to any MACHPro, MACH-ProWeb or MACH-Pro2 series controller with this flexible, general purpose input/output expansion module. Add modular inputs to any MACH-Pro, MACH-ProWeb or MACH-Pro2 series controller with this flexible, general purpose input expansion module. Add modular outputs to any MACH-Pro, MACH-ProWeb or MACH-Pro2 series controller with this flexible, general purpose output expansion module.